With the new fashion season about to hit, you know you can count on some serious Models Off Duty coverage from all 4 major fashion weeks to come. From Lincoln Center in New York, to Somerset House in London, to the Duomo in Milano and finally the Tuileries in Paris. I'll be there. Often these girls are in a serious hurry between shows, fittings, and castings. A model can have as many as 17 appointments in one day during the middle of fashion week. Fashion season for a model is kind of like a hurricane of professional obligations to tend to: designers, casting agents, PR people, hair and make up, mother agents, drivers to find, taxi's to hail. A model is not contractually required to stop for me for a picture and by no means, required to stop and let me take detail shots, full body shots, and carefully execute a photo shoot. Let alone when she's fatigued, jet lagged, or hating the make up they just applied to her skin. To those girls that do stop for me, I am grateful for their time and patience. Because of this, I've decided to add in the off season, some work of mine that better represents the current state of my creative photography. Sometimes that will include models from agencies like Marilyn (look out for a coming series) and Women, and other times, that will include photos from DBA girls, like Lindsey above. the fourth shot .. the back to us in an empty carriage - awesome! ha sorry i accidentally pasted something irrelevant in my last comment - didnt mean to ! 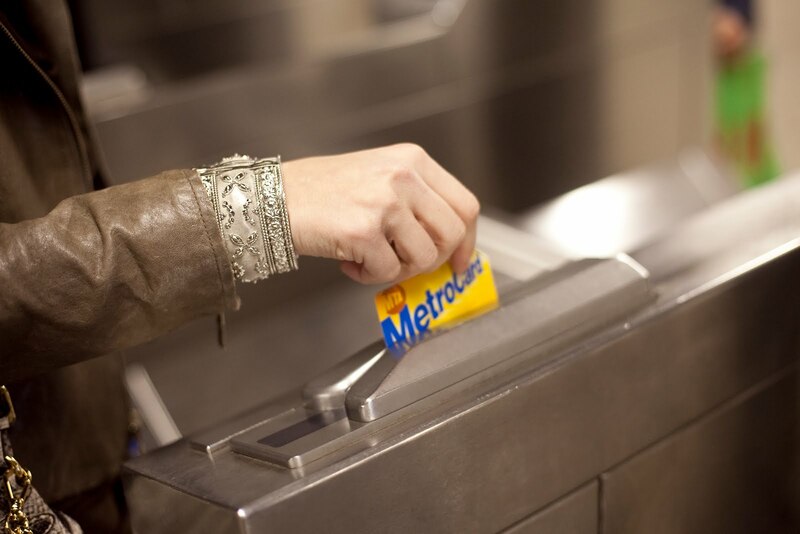 It probably shouldn't be, but the fact that her MetroCard is facing the wrong way is really annoyingly poking at me. The pictures have a very good qualitiy! Wow editorial-like shots!!! Well done, the styling is perfecto! Great theme in the subway! !